If you need to get extensions to get box braids, then you will need to have some hair to plait your extensions into. The most common way to get box braid extensions is to plait each individual box extension onto short hair. This process can take a few hours. 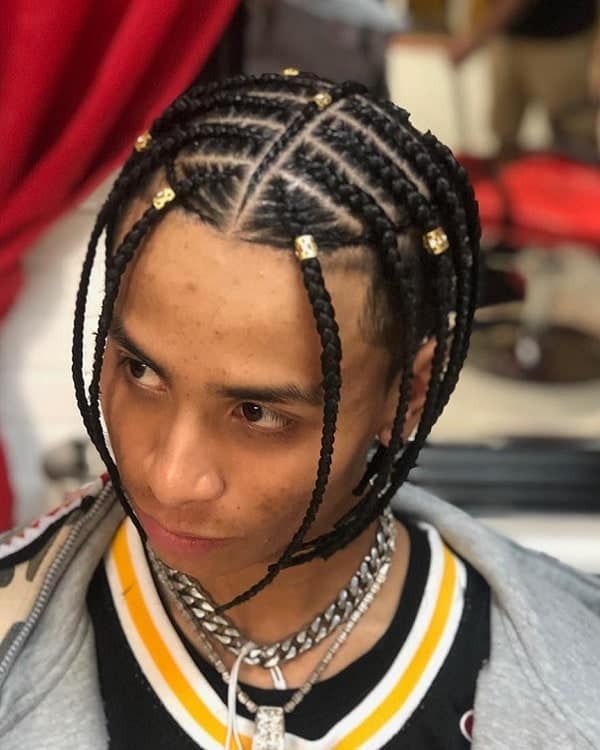 Guys with thinner hair will only be able to style in short box braids. 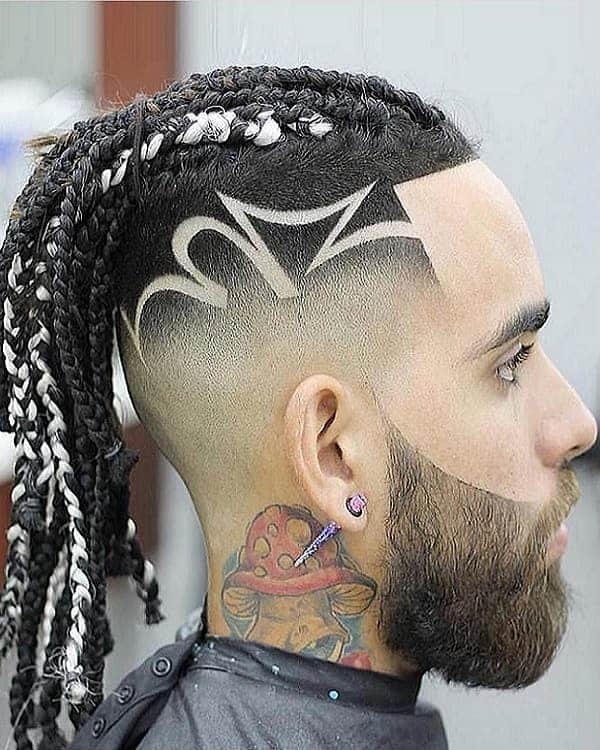 Style your hair neatly to create a grid pattern across your scalp. 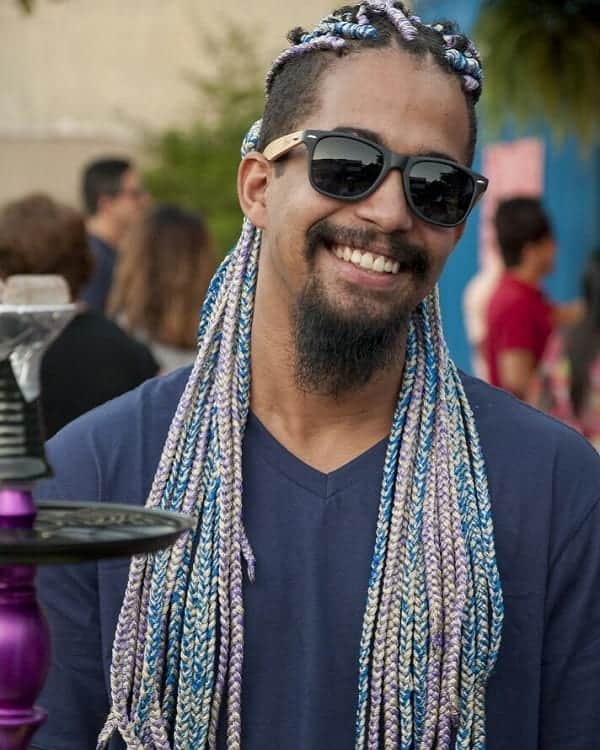 Give your hairstyle a little bit of variety by using box braids with a color gradient. This means that the color changes from dark to light in the same strand of hair. 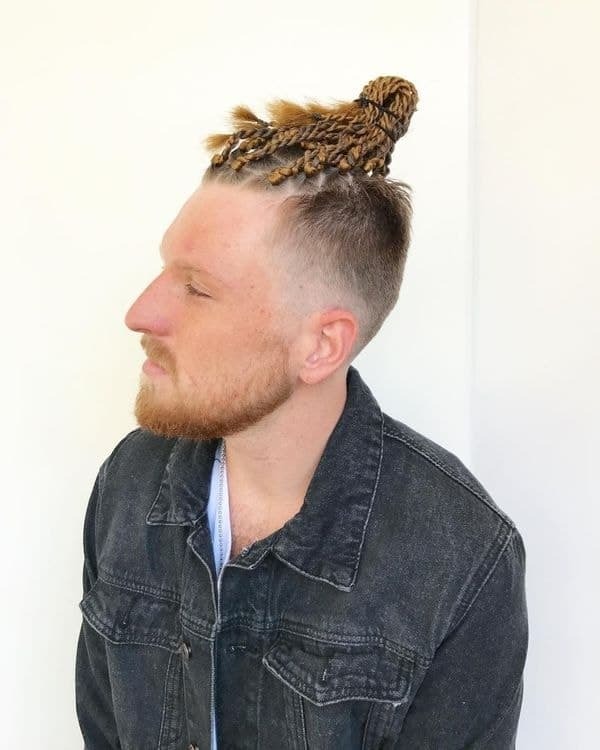 Match two hairstyles together by pulling your braided hair up into a chunky man bun. 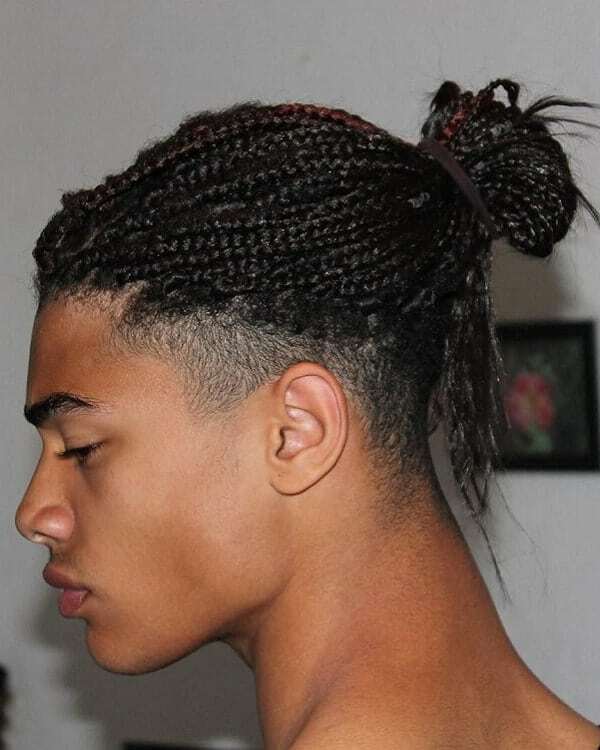 The man bun is one of the most popular hairstyles of the twentieth century. 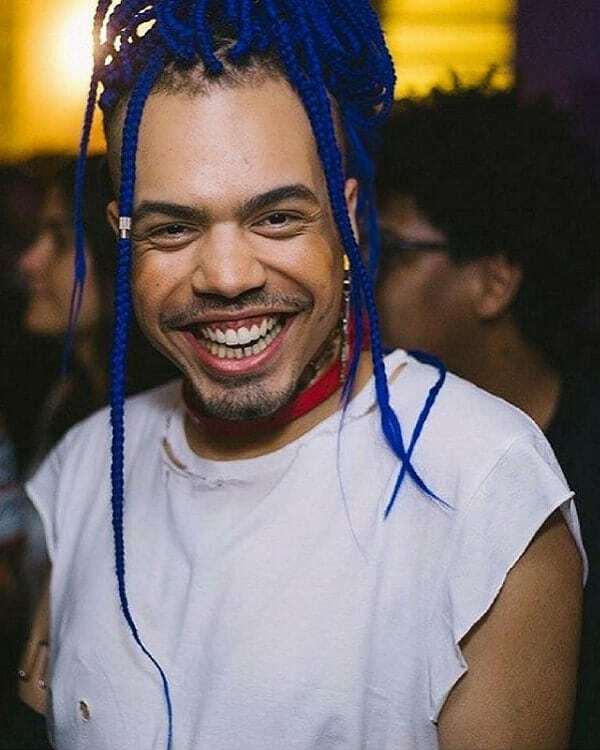 Mix different cultures by plaiting your box braids into a Mohawk shape. 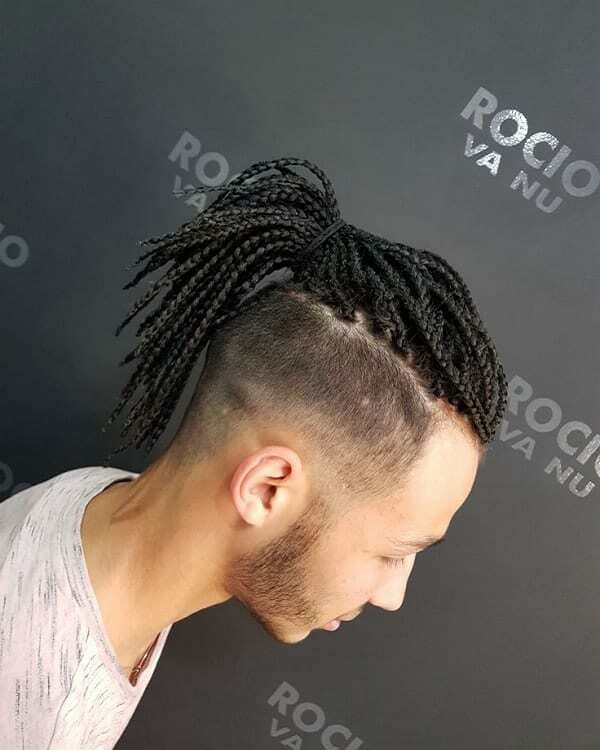 This style blends African, Native American and Japanese influences in one hairstyle. Pull your hair up into a ponytail for a nice simple look. This will help to keep your hair out of your face so that you can go about some more important business. 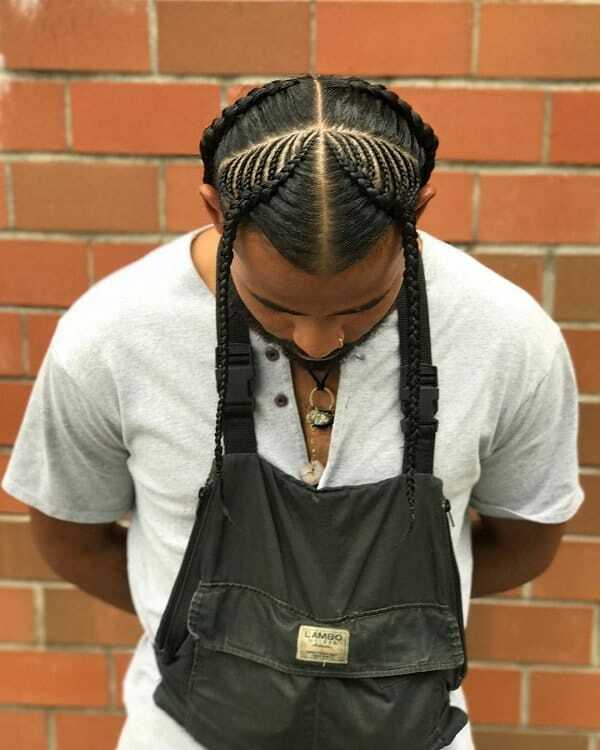 Wear long hair well by choosing stylish box braids for men. 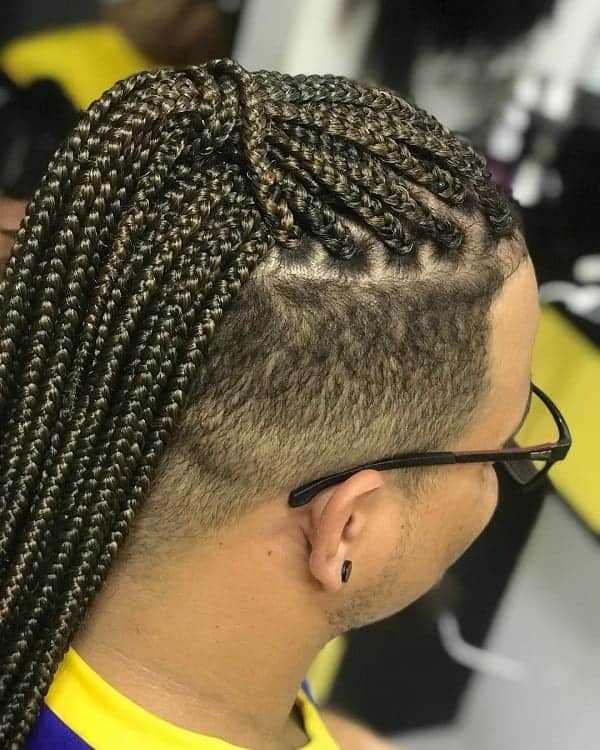 Box braids are a great choice for guys from any culture.